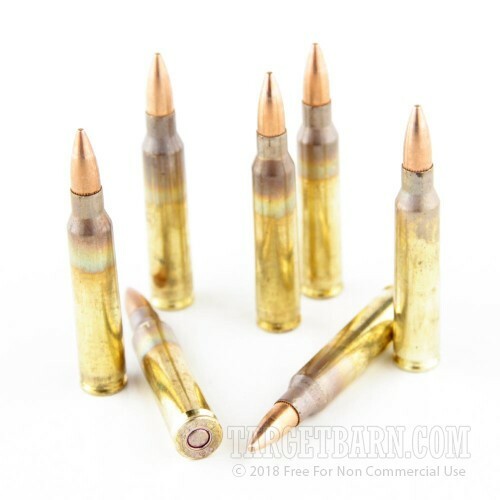 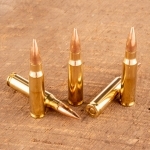 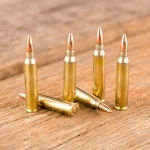 This 5.56 NATO ammunition is made by Federal, the contract operator of the Lake City Army Ammunition Plant in Independence, Missouri. Lake City ammo is highly sought after by AR-15 owners due to its reliable performance and military origin. 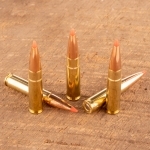 Each cartridge fires a 55 grain full metal jacket bullet at 3,165 feet per second. 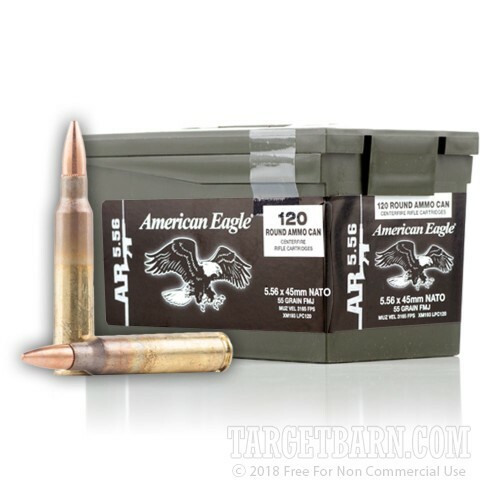 This ammo follows the M193 standard and comes packaged in a 120-round reusable ammo can. 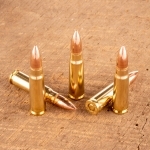 Lake City ammo uses non-corrosive Boxer primers and reloadable brass cases with visible mil-spec annealing marks.